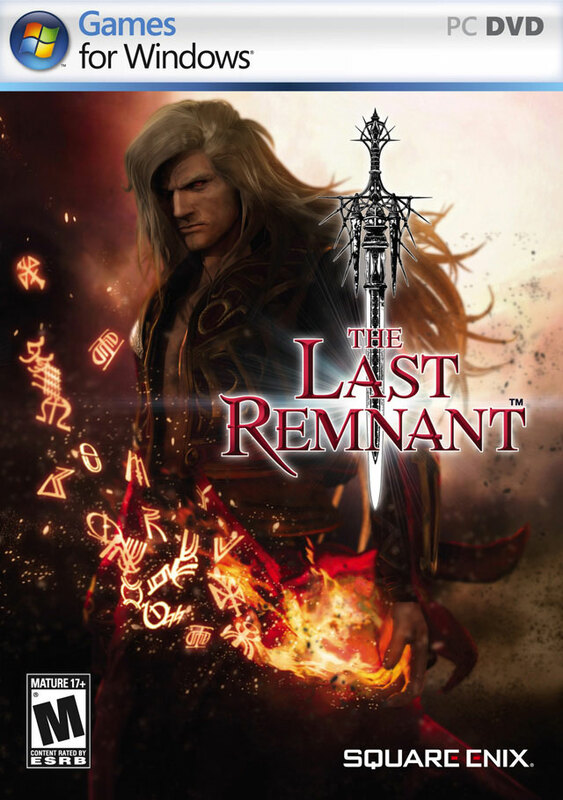 In November last year Square Enix released The Last Remnant for the Xbox 360. The reception of the game to the public was mixed. One of the big flows where the technical problems the game had. Square Enix has announced that it will release the PC version of The Last Remnant in Europe on 20 March, in North America on 24 March and in Japan on 9 April. The game will have some new features and hopefully the bugs from the Xbox 360 version will be fixed. On the official website you can find a official benchmark of the game to check if your PC meet the requirements of the game. When the game will be released for the PlayStation 3 is unknown. Update: The demo is now available for download. It's 1 GB in size and can be downloaded here. Star Ocean: The Last Hope released in North America! Today is the day you've all been waiting for: Star Ocean: The Last Hope has been released in North America! If you live in Europe, you have to wait a little longer. There are some changes made in the English version, like the character portraits that are CG models instead of anime faces. Also the menu has a different background which looks more blue. FF7: Advent Children Complete NA release date! Square-Enix has released the North American trailer for the Blu-ray edition of Final Fantasy VII: Advent Children, accompanied by the subtitle "Complete", which revealed the North American release date to be the same as the Japanese region! In a previous statement, Square-Enix noted that the Final Fantasy XIII trial was exclusive to the Japanese version of the Blu-ray remake, yet no official word on a NA Final Fantasy XIII trial has been made. The announcement of the movie's European release date has yet to be revealed. Update: The trailer has been removed, since it is a fake. There's no American release date. On the first day of the release of Star Ocean: The Last Hope in Japan, Square Enix has sold 131,000 copies of the game. Thereby the game is the best selling game for the Xbox 360 in Japan on its day of release. The game is only 3 days away from its American release. If you can't get enough of the videos lately, GameTrailers has added a preview of the game. Square Enix has announced that the Japanese release date of Dragon Quest IX: Defenders of the Starry Sky has been delayed. The new release date is 11 July 2009 instead of 28 March 2009. They said that the game still has too many bugs and that the game can't be released like this. Square Enix has offered 84.3 million pounds ($120 million USD / €93.5 million EUR) to acquire Eidos. The offer has been accepted by the board, but not yet by the stockholders. Eidos is responsible for the Tomb Raider series, which has been successfull in the part. Only the sales of the last game of the series, Tomb Raider: Underworld, were much worser than expected. If you're wondering what Eidos has to do with Square: in the past they released the PC version of Final Fantasy VII and Final Fantasy VIII. The takeover fits in a recently released strategy to aim more to the West. Square Enix has released another trailer from Star Ocean: The Last Hope. This time it's a long Japanese trailer showing in-game scenes and the playable characters in the game. I've also added two Japanese commercials of the game, which can be seen here and here. Star Ocean: The Last Hope will be released on 19 February in Japan and 24 February in North America. An European release is set for this Spring. Edit: Removed embed video since vB doesn't insert html properly. Chrono Trigger DS released in Europe! Today one of the best RPG's for the Super Nintendo has been released in Europe! I'm talking of course about Chrono Trigger. Originally released in 1995, the game never was released in Europe. Until today, a remake for the Nintendo DS is available. The Nintendo DS has some extra features, like the animated movies by Akira Toriyama (mostly known from Dragon Ball Z), a beastiary and you can train your own monster. Square Enix has released three gameplay video's from Star Ocean: The Last Hope. In the first video the sight out feature is shown, in the second video the raided attack feature and in the third the rush combo feature.